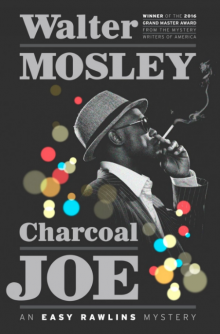 Walter Mosley’s latest Easy Rawlins novel, “Charcoal Joe,” comes on the heels of the author winning the Grand Master Award from the Mystery Writers of America in April. 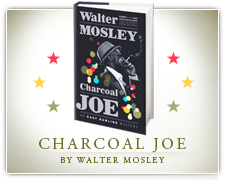 No one familiar with the quality and quantity of Mosley’s creative output was surprised by this honor. His output encompasses more than four dozen books — including 14 Rawlins novels — science fiction, nonfiction and essays. He’s been awarded PEN America’s Lifetime Achievement Award. So it’ s no surprise that Mosley, an L.A. native whose father migrated out west from Louisiana, is attuned to the uneasy America that blacks inhabit. The fictional Easy, a child of New Iberia, La., who migrates to Los Angeles, is too. The central twist in “Devil,” set in 1948 L.A., turns on the different worlds that whites and blacks inhabit in the same place. “Charcoal Joe,” set in the same city exactly two decades later, finds that things are different, if not all that much improved. Chandler’s novels and James Ellroy’s “L.A. Quartet” both covered the same city and era — the 1940s and 1950s — but neither offered any real insight into the black side of town. Think of the wrongly charged black suspects in Ellroy’s brilliant “L.A. Confidential,” for example. The black guys are there as a plot complication. The detectives really don’t pay any price for blowing them away. If Easy had investigated? That would have been the story, full stop. As “Charcoal Joe” opens, we find Easy in a good place. He’s flush with cash from a previous case. He’s going to propose to his girlfriend. He’s down to one smoke per day. Racial progress has been enough that he can enroll his daughter, Feather, in a posh private school in the white side of town. And he’s been able to open a three-man firm in a building that seems a metaphor for the city: Once an elegant residence for a rich white guy, it’s been cut up into three businesses. The first floor is an antique store of faded quality. The second floor, run by the landlord, is a Japanese family-owned and -operated insurance brokerage. Easy’s new three-man detective agency — one Jewish partner and one black — is on the third. Two of the couples working in the building are interracial. Likewise, the murder that forms the spine of the narrative is racially complicated. “A white man named Peter Boughman and some other guy named Ducky” were shot to death in a house in Malibu, Rawlins’s longtime friend Raymond “Mouse” Alexander tells him. Seymour Brathwaite, a well-to-do black postgraduate student at UCLA, lived nearby, heard the shots and went to investigate, Mouse says. Brathwaite was found standing beside the bodies when the police came. He had no gun but was booked for murder. The hitch is that Brathwaite is the son of a friend of the fearsome Rufus Tyler, a.k.a. Charcoal Joe, an elderly black man, who is good at cards, killing people and Getting Stuff Done. Charcoal, who has done Easy a favor in the past, now wants to call in his tab. 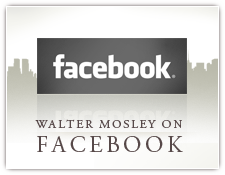 If you’ve read Mosley before, you know that Easy is probably going to figure things out by the end, though at a cost. But like the crosstown drive from West L.A. to Watts, you don’t hop in the car with Easy Rawlins for the destination. You ride shotgun for the trip. 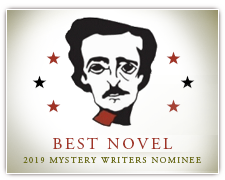 Neely Tucker, a national reporter for The Washington Post, is the author of “Only the Hunted Run: A Sully Carter Novel,” which will be published in August.